It is possible to read the bus configuration and automatically assign the “GSE” files. In TwinCAT, all functions are conveniently available. But other applications also benefit from the diverse features: general drivers for Windows NT/2000/XP/Vista or Windows 7 and convenient configuration tools are included in the TwinCAT I/O software package. High-level language programs use the DLL, Visual Basic applications the ActiveX interface. Applications with OPC interface can access process data and parameters via an OPC server. 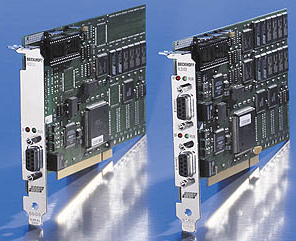 PROFIBUS For further PROFIBUS products please see the system overview.